The Elk River Chain of Lakes Watershed LOON NETWORK connects common loons with the community through habitat protection, monitoring and research. 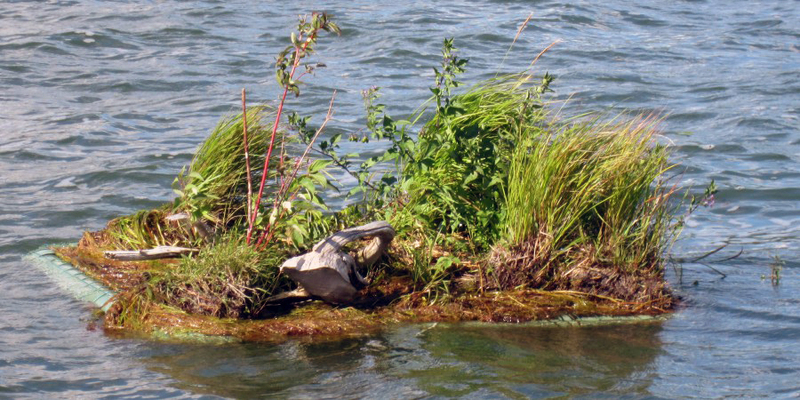 A man-made nest platform creates protected habitat for loons to breed. The Elk River Chain of Lakes Watershed (ERCOL) has been home to common loons since the glaciers retreated 10,000 years ago. The ERCOL Watershed covers more than 500 square miles in northwest Michigan. Contributing 60% of the surface water draining into Grand Traverse Bay, our watershed contains some of the highest quality waters in the world. The 14 interconnected lakes flow into East Grand Traverse Bay at Elk Rapids. The watershed lies primarily within Antrim County but also includes portions of Grand Traverse, Kalkaska and Charlevoix counties. We use a watershed approach to loon conservation. Property owners, who enjoy watching loons on their lake, contact the LOON NETWORK. The Network connects them with other people nearby who also care about the loons. We work with them to develop a conservation plan for their area of the lake. Then we connect the teams from throughout the watershed, so people can share their observations and work together to solve common problems. The LOON NETWORK focus on three main programs revolving around habitat protection, monitoring and research. 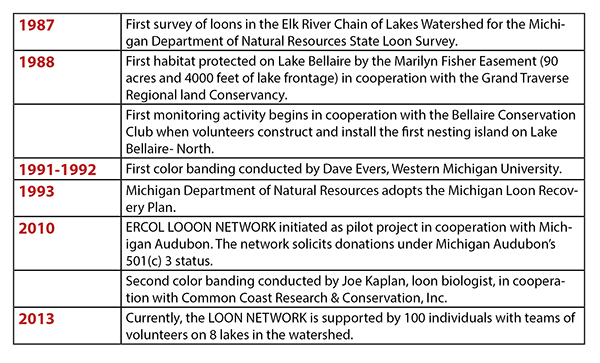 Download the Loon Network Program to learn about each of these programs in detail. Dedicated volunteers loon banding is the early morning hours. The Elk River Chain of Lakes Watershed LOON NETWORK is a community of volunteers committed to using a watershed approach to protect the common loon. The Network is funded by the generosity of private donors. Jonathan Lutz, Executive Director of Michigan Audubon governs the Network. Project Manager, Peg Comfort, oversees operations. 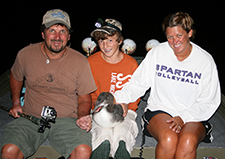 Joe Kaplan, Loon Biologist, Common Coast Research & Conservation, Inc. coordinates the Research Program.